The work we do in life tends to have the biggest impact while we're still alive. For some, the impact extends farther. 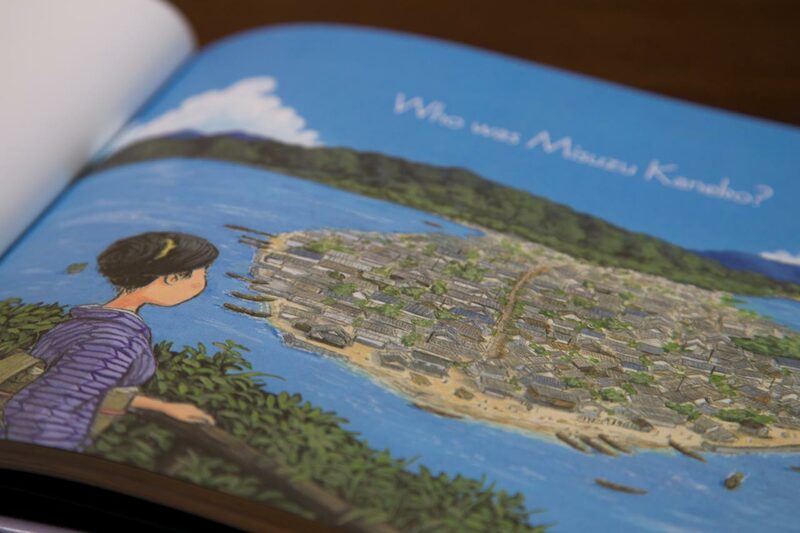 Such is the case for Taisho era poet Misuzu Kaneko (1903–1930), whose poetry is the subject of a new children's book called Are You An Echo? This is also the title of one of Kaneko's poems, which took on extra meaning for survivors of the 2011 Japanese earthquake and tsunami. "Children's book" may seem like an odd medium, but Kaneko was a children's poet. Though her poetry deals with mature ideas, they're written in a way that helps children understand and reminds adults of lessons they've forgotten. 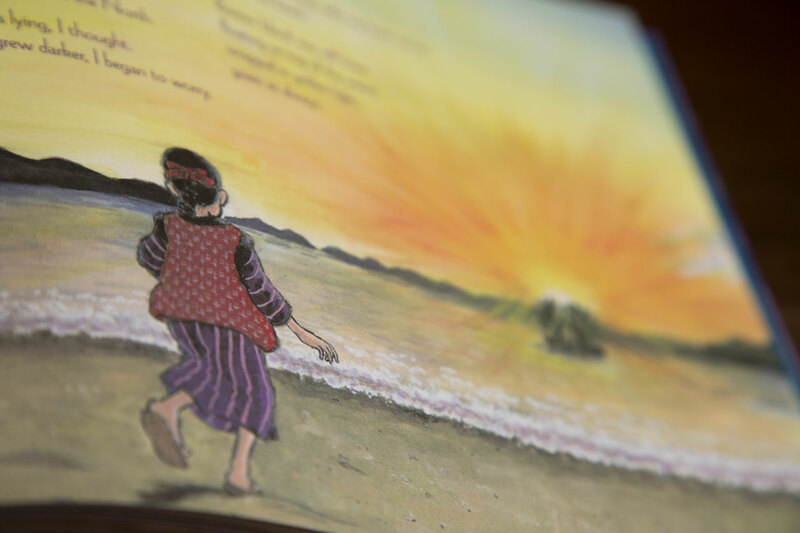 Thanks to author David Jacobson and co-translators, Sally Ito and Michiko Tsuboi, we have Kaneko's life story and poetry available to English-speaking children for the first time. On the surface, Are You An Echo? looks and feels like a children's book. 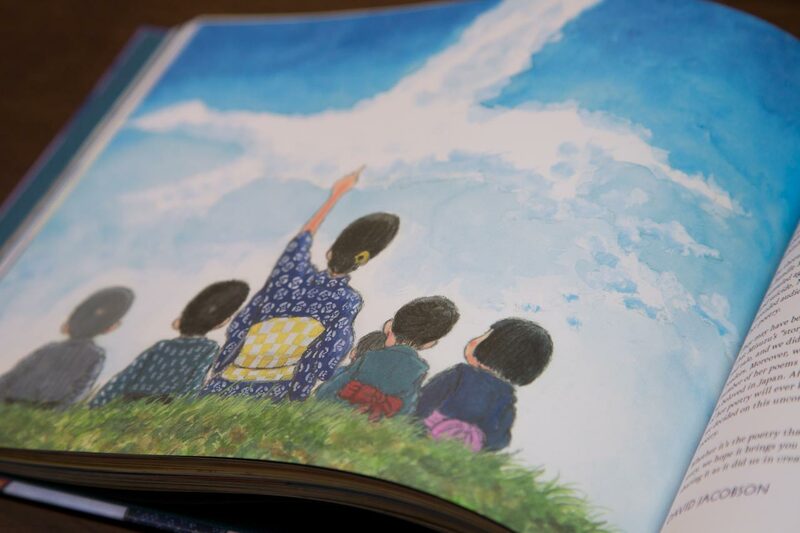 It's a wide, rectangular picture book, with colorful, Ghibli-like illustrations from end to end. It's a short read too. You can get through the whole thing in about 15 minutes. 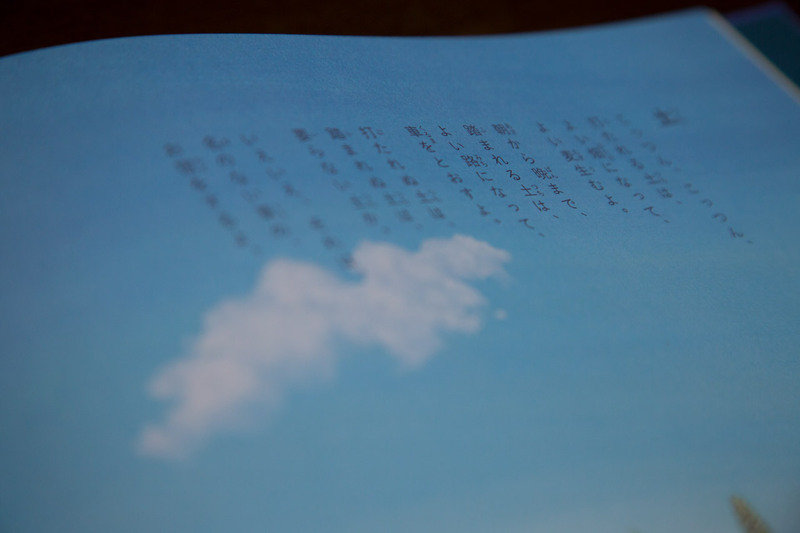 But despite the "kid's book" features, there's something elegant and mature about it. The colors are subdued and mellow; no bright, cheery primaries. The pictures aren't dreary, but they're melancholy and introspective. The physical feel of the book is grown up too. 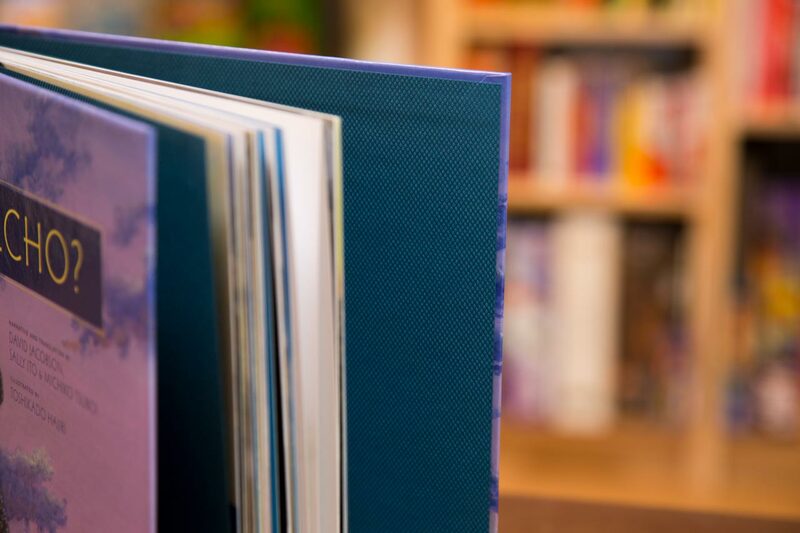 The inside cover is lined with a blue, textured, cloth-like paper, a detail few children will appreciate. Older readers, however, will recognize this touch of quality. The story begins with a question, "Who was Misuzu Kaneko?" This is a smart move considering most English speakers will think the same when picking up this book. The question is answered by a man investigating Kaneko's life, which transitions into her life story from beginning to end. All of this wraps around Kaneko's poetry, which is interwoven throughout the book. The book is written with language and grammar a fifth grader will understand, but deals with hardships, loss, and death. The story halts to give attention to small moments that are sad or beautiful, something adults can easily appreciate. The plot is interesting, but a little disjointed as an experience. It begins with a man searching for information on Misuzu Kaneko, then moves into her life story, which takes up most of the book. When Kaneko's life story ends, the book continues with a short afterword of her poetry's effect on Japan after the March 11th earthquake and tsunami. This helps the reader understand the impact she's had, but the transition from investigation to life story to modern day feels disconnected. By the end of the book, you really get to know Kaneko as a person, seeing her hardships and how it influenced her poetry. Like citation, the wraparound story uses the poetry to illustrate her personality. The book is written with language and grammar a fifth grader will understand, but deals with hardships, loss, and death. 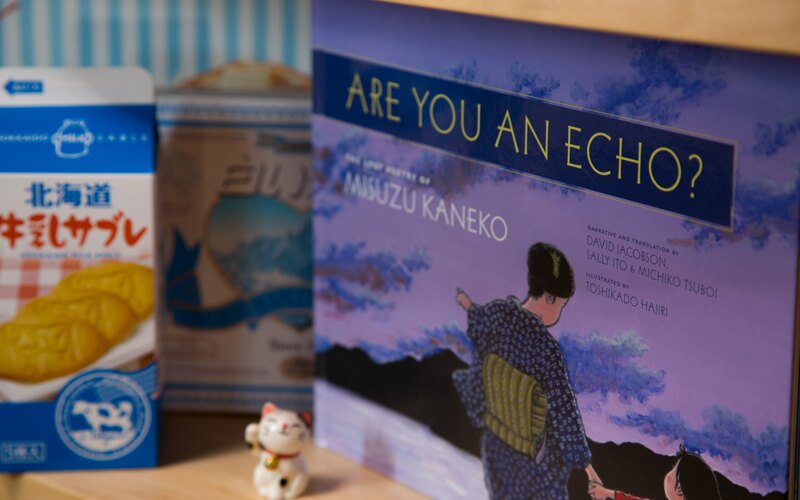 After finishing Are You An Echo?, I felt an admiration for Kaneko, a historical figure I'd never heard of before. Perhaps because the story emphasizes aspects of her mind and personality as much as factual history. From the very beginning, the story highlights her ability to empathize with people, animals, and even inanimate objects. As I started to read the poetry, I began to feel the happiness and sorrow she felt for these things. Parents buying the book for children should keep in mind that it covers sensitive pieces of Kaneko's life, like STDs and suicide. None of it is graphic or upsetting, but it's best to know beforehand so you can be prepared to explain these issues. The art style is a perfect fit for the subject matter. Toshikado Hajiri's illustrations have a downplayed cuteness which straddles the line between children's books and mature animated film. The subject matter ranges from sunsets to blue skies to street scenes to moments at home. But each image balances melancholy and warmth. There's so much nostalgia packed into each image, you'll find yourself reminiscing about a time and place you never lived. The line work is a precise foundation, decorated with wisps of faux chaos around the edges. This is apparent on the illustrations set against a white background. You can really see the cuts and feathers on the edges. But in the big, colorful scenes, the line work blends with color, giving the entire setting a worn, familiar feel. Hajiri is a master of background and character construction, but his real illustration prowess is in the details. This is the first time Misuzu Kaneko's work has been translated into English, and it's a real treat. The poetry is the real star of this book. The poems and their translations are what capture your attention and your emotion, and make the story and art worth consuming. This is the first time Misuzu Kaneko's poems have been translated into English, and it's a real treat. Co-translators Sally Ito and Michiko Tsuboi did an excellent job. As an added bonus, all the poems in the latter half of the book are paired with the original Japanese, so language learners and poetry fans can use them as a study tool. One of Kaneko's greatest strengths is her use of the child's perspective. She uses it to emphasize emotions and moral conundrums that get lost as we grow older. For example, in the poem "Big Catch," Kaneko recounts the celebration of a fisherman pulling in nets full of fish. But she wonders how the fish left behind feel, if they mourn their lost friends. At sunrise, glorious sunrise it's a big catch! but in the sea, they will hold funerals for the tens of thousands dead. In "Treat" she gives us the thought process of a child who stole a dessert from her brother, the panic of trying to cover the misdeed, and the sad taste of the stolen snack. This is something everyone experiences in childhood, but the severity of the moment, the panic and sadness, are eroded as time goes on. The poem reminds us of what it was like to be that child again. For fun, I hide a treat from my brother, thinking I wouldn't eat it, of course. But I eat it, after all. But what if Mom says, "There were two treats…" What would I do? Leave the second one. No, take it. No, put it back. How bitter this treat. How sad it tastes! The "lessons" Kaneko teaches through her poetry aren't overt. Nothing is pushed on you. But after reading her work, you can't help but empathize with other people (and things), and remember life lessons that grew fuzzier as life got more complicated. Translation is hard enough, but translating poetry adds extra layers of difficulty. You have to convey emotion and subtle meaning, not just words. That's why one Japanese poem can have multiple English translations. There's nuance that needs attention too. Co-translators Sally Ito and Michiko Tsuboi did an excellent job with Misuzu Kaneko's poetry. The English translations capture the childlike tone while wrestling with themes of grief, wonder, and loss. There's a little extra value here for Japanese language learners. The inclusion of the original Japanese for all poetry in the second half of the book makes this worth buying as a study tool. Intermediate learners will be able to see what decisions Ito and Tsuboi had to make when translating to English. Advanced learners can even try their hands at alternate translations. There's a lot to love about Are You An Echo? The story, illustrations, and poetry are a wonderful introduction to a person whose work is virtually unknown in the West. Children in late elementary school or middle school will be able to appreciate the book (though parents should be aware of more sensitive issues presented). There's enough in here to challenge them and get them thinking about topics a little deeper than they're used to. Buy it for a kid you like. Japanese learners can use it as a short study exercise, especially if they're planning to become translators. But my strongest recommendation is for fans of Japanese history or poetry. They will definitely appreciate what this book is trying to do. This is a poet whose work has never been translated into English. There's a lot of empathy in the poems and a great story of someone who lived life well. That should be enough for the poetry lover/history buff to grab onto and enjoy. I really wanted to love this book of poems, but the strange disjunction between the introduction, story, and poetry content really threw me off. I don’t think Are You An Echo? knows who its audience actually is. That being said, I thought the illustrations and the actual translations of the poetry were lovely. The rest, I didn’t care for. 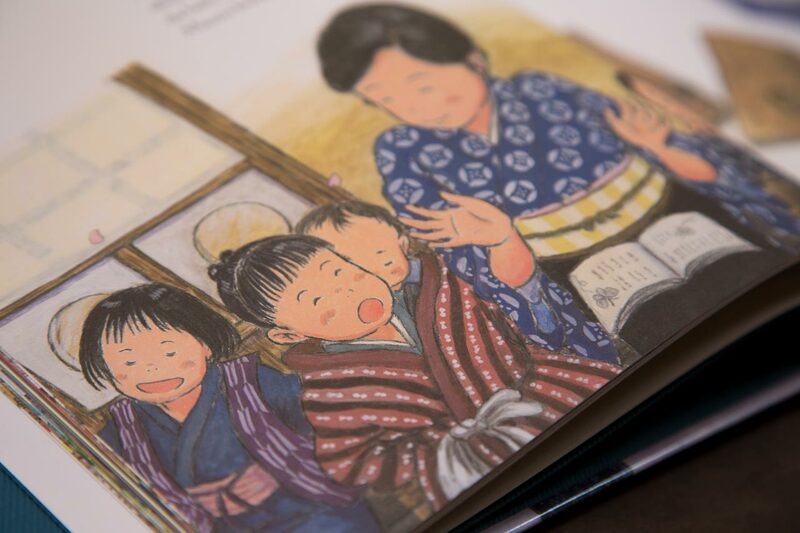 This is a great way to introduce children to the life and work of a Japanese poet. The art is lovely, the poems are pretty. Broaden those kids’ horizons, parents. This is a salve for the Pregnant Elsa Dental Surgery iPad game you’ve been letting them play.